The World Cinema Project (WCP) preserves and restores neglected films from around the world. 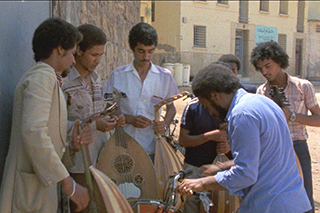 To date, 38 films from Africa, Asia, Eastern Europe, Central America, South America, and the Middle East have been restored, preserved and exhibited for a global audience. The WCP also supports educational programs, including Restoration Film Schools; intensive, results-oriented workshops allowing students and professionals worldwide to learn the art and science of film restoration and preservation. All WCP titles are available for exhibition rental by clicking "Book This Film." Restored by The Film Foundation’s World Cinema Project at L’immagine Ritrovata laboratory in collaboration with Filmoteca de la UNAM and Cinémathèque française. Restoration funded by the Material World Charitable Foundation. 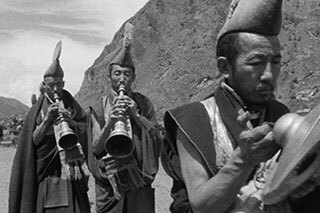 In May 1964, three British filmmakers traveled with the Khampa guerrillas over a 20,000-foot pass into occupied Tibet from the remote Tsum region of Nepal and captured dramatic footage of an ambush on a Chinese military convoy. The footage was smuggled out and edited two years later in London, and officially released in 1966 to critical acclaim. Shot by Oscar-winning cinematographer Chris Menges (THE READER, LOCAL HERO, THE KILLING FIELDS), this documentary short is an important historical artifact, representing the only known footage of armed Tibetan resistance fighters in combat with the Chinese. Restoration work was completed at Cineric in New York. The original 16mm camera negative was cleaned, repaired, then wet-gate scanned at 4K to eliminate scratches and other minor defects in the emulsion. The image was subsequently stabilized and digitally cleaned to remove dust, deep scratches, and other visible marks. Because of the extreme conditions in Tibet during the filming, Cineric implemented exposure compensation at the initial scanning of the raw material. Grading was performed by colorist Paul Ensby and supervised by Chris Menges at Technicolor London. The original sound negative was also scanned and digitally cleaned to reduce background noise and remove clicks and pops. A new 35mm internegative with sound has been made for preservation, along with 35mm prints for conservation and access. In addition, a new HD master and DCP will be produced for digital screenings. I simply wanted to show the farmers’ faces, to honor their sounds and their images, their silences and their words, and that’s why I chose not to interfere and to opt for deliberately restrained composition, movement and mise-enscène. I tried to minimize the camera’s ability to distort, make a point, or discriminate. I wanted each aspect to be presented equally. I did not look for spectacular beauty, but made an effort to let the imagery of the rural world speak through abstraction and silence. The restoration of Alyam, Alyam used the 16mm A/B rolls original camera and sound negatives preserved at Eclair Laboratories, where the 4K scan was performed. Restoration - carried out at Cineteca di Bologna/L’Immagine Ritrovata - succeeded in stabilizing the image and bringing the original chromatic qualities to light. Director Ahmed El Maanouni supervised the color grading process and approved the final restoration. The restoration of Transes used the original 16mm camera and sound negative provided by producer Izza Génini. The camera negative was restored both photochemically and digitally and blown-up to 35mm format. The sound negative was restored to Dolby SR and digital. Restored in 2010 by Cineteca di Bologna/L'Immagine Ritrovata laboratory, in association with The Film Foundation’s World Cinema Project and Magyar Nemzeti Filmarchívum. Restoration funded by Armani, Cartier, Qatar Airways and Qatar Museum Authority. André De Toth was a great filmmaker, we are indebted to him for a number of extraordinary films (dating back to his first Hungarian works) and many masterpieces. He fought to make ambitious films and refused to work under a studio contract, thus showing a rare desire for freedom […] One day, following a screening of Round Midnight, De Toth told me, “You made me cry. And it’s hard to cry when you only have one eye.” He comforted and supported me. He was never bitter, he would never have said something like: “Cinema was better when I was making films”. He remained curious, open-minded; he battled for the American Cinematheque on Hollywood Boulevard […] “We’re like passengers driving at full speed on the new highways of communication”, he wrote. “It’s the same road since 1895, only it’s slippier because of the sweat and the blood and with more cracks: each of them a broken dream. These past hundred years have been terrible, yet we’ve enjoyed every single minute of them. As long as this fever, this love for making films survives, nothing will ever change.” On his sets, one big sign read, “Drama should occur in front of the camera, not behind it”, another, “Technology will never replace brains and intelligence”. The restoration of Két Lány Az Utcán used the original 35mm camera and sound nitrate negatives preserved at the Magyar Nemzeti Filmarchívum (Hungarian National Film Archive). The digital restoration produced a new 35mm internegative. Restored in 2013 by the Austrian Film Museum and Cineteca di Bologna/L’Immagine Ritrovata laboratory, in association with The Film Foundation’s World Cinema Project, LISTO laboratory in Vienna, Technicolor Ltd in Bangkok, and Apichatpong Weerasethakul. Restoration funded by Doha Film Institute. On his journey, the director hears a story which he then asks people to continue as they wish— like a game of Chinese Whispers (and relating also to the French Surrealists’ concept of the “cadavre exquis”). The original title, Dokfah nai meu maan, roughly translates as Heavenly Flower in Devil’s Hand. The name of that flower, Dokfah, is also the name of the woman who appears in the story-within-a-film as the teacher of a young paraplegic boy. The title is reminiscent of an archetypical Thai melodrama, but in the hands of the most imaginative re interpreter of national tradition, it becomes an epic meta-narrative. I want to give the audience the freedom to fly or to float, to just let their mind go here and there, to drift, like when we sit in a train, listen to a Walkman, and look at the landscape. It is liberating, and also the audience understands that they are not watching a routine, three act narrative. The restoration of Mysterious Object at Noon utilized the 35mm duplicate negative with burned-in English subtitles deposited at the Austrian Film Museum by Apichatpong Weerasethakul in 2007. This negative was struck in 1999 from the (now lost) original 16mm camera reversal element. The duplicate negative was scanned at 3K at the Austrian Film Museum. Painstaking digital restoration work was undertaken to remove dust, scratches and other visible marks while keeping the look (and the specific defects) of the original 16mm camera reversal material intact. Color correction was carried out at the LISTO laboratory in Vienna; the 35mm optical soundtrack negative was transferred at L’Immagine Ritrovata in Bologna; the digital sound restoration was performed at Technicolor Ltd in Bangkok. The restoration was carried out in close collaboration with the filmmaker and completed in June 2013. The process produced a new 35mm internegative. 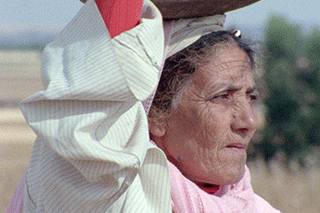 Restored in 2011 by Cineteca di Bologna/L’Immagine Ritrovata laboratory, in association with The Film Foundation’s World Cinema Project and Bahram Beyzaie. Restoration funded by Doha Film Institute. During Downpour, the equations of commercial and intellectual films were the same. The common morality of the action/drama films of the commercial cinema had a tone of political ideology and social activism. 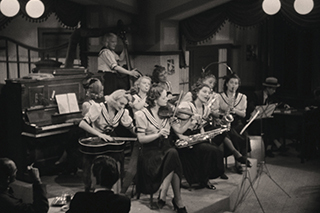 The intellectual films were praised for communicating with the mass culture. In that sense, I don’t want to be popular. Many of these (popular) moralities, in my opinion, are wrong and we are all victims of them. So, I have betrayed my people if I endorse them. I have deviated from the morals of the political parties, hence they have labeled me (inaccessible), not the people. At the heart of my harsh expression, there is a love and respect, for the people, that does not exist in superficial appraisals of the masses. … my audiences are those who strive to go one step further, not those who are the guardians of the old equations nor those who dread self examination and self reflexivity. I’m very proud that the World Cinema Foundation has restored this wise and beautiful film, the first feature from its director Bahram Bayzaie. The tone puts me in mind of what I love best in the Italian neorealist pictures, and the story has the beauty of an ancient fable – you can feel Bayzaie’s background in Persian literature, theater and poetry. Bayzaie never received the support he deserved from the government of his home country – he now lives in California – and it’s painful to think that this extraordinary film, once so popular in Iran, was on the verge of disappearing forever. 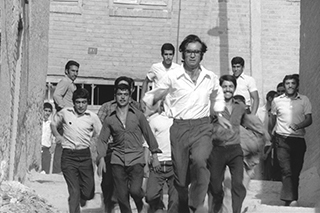 The original negative has been either impounded or destroyed by the Iranian government, and all that remained was one 35mm print with English subtitles burned in. Now, audiences all over the world will be able to see this remarkable picture. The source element was a positive print with English subtitles provided by director Bahram Beyzaie. Since this is the only known surviving copy of the film – all other film sources were seized and are presumed destroyed – the restoration required a considerable amount of both physical and digital repair. The surviving print was badly damaged with scratches, perforation tears and mid-frame splices. Over 1500 hours of work were necessary to complete the restoration. 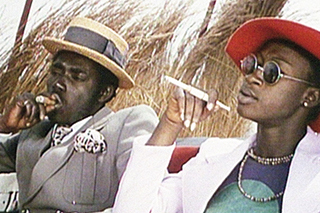 Touki Bouki has been digitally restored at 2K resolution using the original 35 mm camera and sound negatives provided by the director’s son Teemour Diop Mambéty and preserved at the GTC in Paris. Digital restoration brought the film’s original chromatic elements to light. At the end of the digital process a new 35 mm internegative was produced. 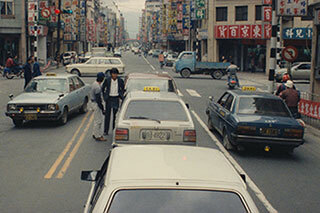 Restored in 2009 by Cineteca di Bologna/L’Immagine Ritrovata laboratory, in association with The Film Foundation’s World Cinema Project, the Central Motion Picture Corporation, and the Edward Yang Estate. Scan performed at Digimax laboratories in Taipei. Restoration funded by Armani, Cartier, Qatar Airways and Qatar Museum Authority. 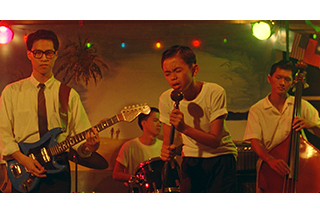 The restoration of the uncut version of A Brighter Summer Day used the original 35mm camera and sound negatives provided by the Edward Yang Estate and preserved at the Central Motion Pictures Corporation in Taipei. Due to the deterioration of the original camera negative an intermediate of the film printed at the time was also used. The digital restoration produced a new 35mm internegative. 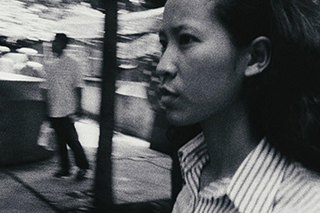 Restored by The Film Foundation’s World Cinema Project at Cineteca di Bologna/L’immagine Ritrovata laboratory in association with the Cinémathèque Royale de Belgique and Hou Hsiao-hsien. PRODUCTION COMPANY: Panamerican Films, S.A. 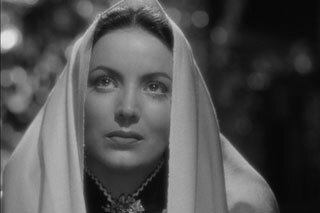 The 4K restoration of ENAMORADA utilized the original 35mm nitrate picture and track negatives stored by Televisa at Filmoteca de la UNAM in Mexico City. 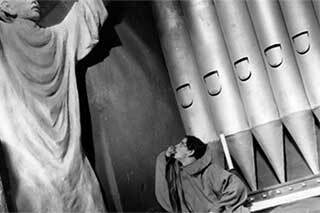 A 35mm nitrate print, provided by Filmoteca de la UNAM, was also used as a secondary element. 4K scanning and restoration was completed by Roundabout Entertainment and the audio restoration was completed by Audio Mechanics. Restored in 2010 by Cineteca di Bologna/L'Immagine Ritrovata laboratory, in association with The Film Foundation’s World Cinema Project, the Kazakhfilm Studio, the State Archive of the Republic of Kazakhstan and Ermek Shinarbaev. Restoration funded by Armani, Cartier, Qatar Airways and Qatar Museum Authority. In a rage, a teacher murders a boy. Another boy is bred, for one sole purpose: to avenge his brother’s death. Kazakh master Ermek Shinarbaev’s close collaboration with the Korean-Russian writer Anatoli Kim yielded three great films, the most remarkable of which is this beautiful, profoundly unsettling film. A true odyssey, geographically and psychologically. One of the greatest films to emerge from the Kazakh New Wave, and one of the toughest. In the beginning of the 40s, hundreds of thousands of Koreans that had lived in the Russian Far East since the XIX century were forcibly displaced overnight according to Stalin’s orders. They were regarded as traitors and public enemies. Women, children, old people, were sent away with no explanation. The Korean diaspora, with a population of over a million, has been a forbidden topic for many years. Revenge is the first film telling the story of their tragedy. The restoration of Revenge, used the original camera negative, the sound negative and a positive print provided by the Kazakhfilm Studio and held at the State Archive of the Republic of Kazakhstan. Special thanks to director Ermek Shinarbaev for actively participating in the restoration.